Each person will choose a month to be queen bee. That queen bee will write a blog post for the first of the month describing the block they would like, showing photos of the test blocks they made, linking to tutorials and giving fabric preferences. Each bee mama can request up to two blocks at 12.5x12.5 inches unfinished (or equivalent). The hive members will then rummage through their stashes and make blocks according to the mama's wishes. Hive members are to have their completed blocks in the post by the last day of the month. Our bee will run from Jan 2014 through Dec 2014, including all summer months. A sampling of bee blocks from our 2012-2013 bee. For those not interested in committing to a full year of blocks, please join us on your own and treat this as a Block of the Month club. Add your blocks to the flickr group too! We would love to see what you create. To sign up, we will take the first 12 qualified people (see below) who leave a comment on this post expressing interest. If you are a no-reply commenter, please be sure to leave your email address as well. I (Cindy) will then get in touch with you to organize postal addresses, choosing months, etc. To qualify, you need to be a member of the Modern Quilters of Ireland, living within the Republic of Ireland or in Northern Ireland. Membership is free, but we will ask that you hop over here and complete the membership form so we can get in touch with you moving ahead. You also need to follow this blog closely as you will need access to monthly posts giving you instructions to make your block. 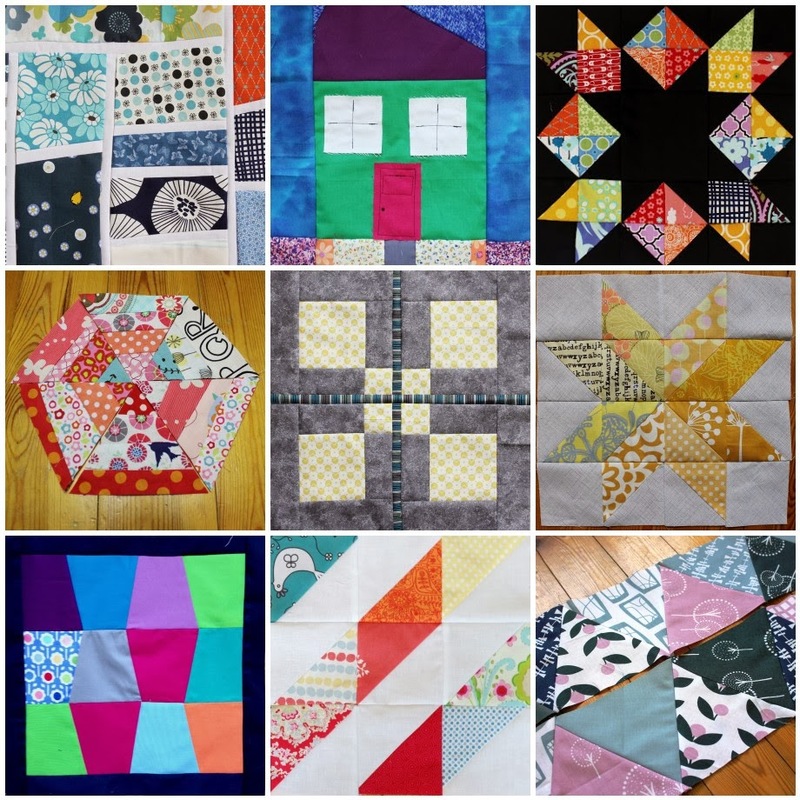 Please also join the flickr group to chat, ask questions and post photos of your finished blocks. Many thanks, ladies. Please email me (Cindy) with any questions you might have: fluffysheepquilting(at)gmail(dot)com. Happy stitching!